Thank you for your interest in registering for the 2016 ACP Portfolio Review and Walk. The ACP Portfolio Review and Walk on Saturday and Sunday, Oct. 8th & 9th at the Georgia Tech Hotel & Conference Center offers photographers the opportunity to meet one-on-one with highly respected curators, dealers, editors, and agency representatives from across the United States and beyond. 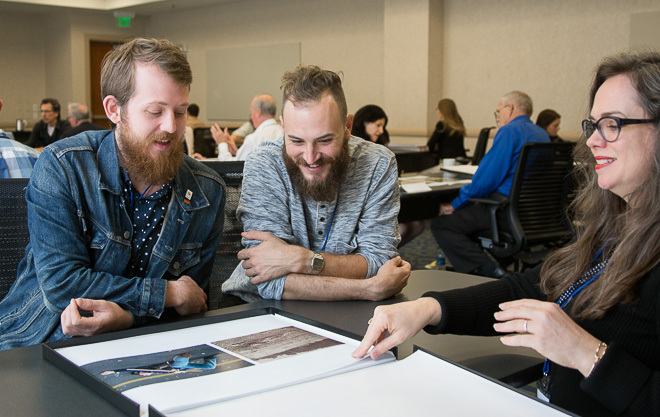 The Portfolio Walk (following the review sessions) gives Review participants the opportunity to present their work to the general public at an evening reception, open to all. We consider our small portfolio review to be a boutique experience, offering a high-quality environment for both reviewer(s) and photographer(s) with secure, dedicated space for photographers to rest and mingle between reviews. Plus, food and beverage service throughout the day is included. 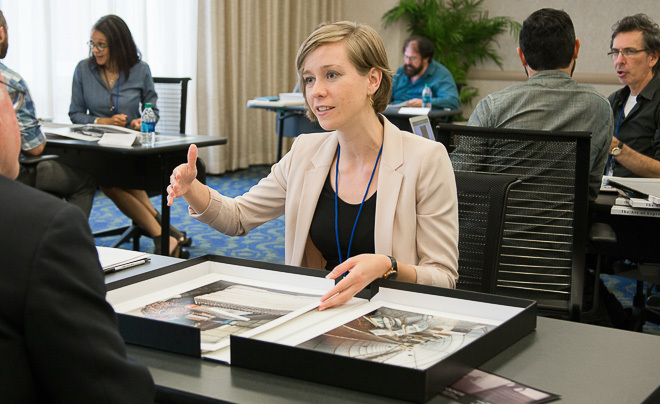 The ACP 2016 Portfolio Review is all-day Saturday, and Sunday morning, October 8th & 9th. The event is at the GA Tech Hotel and Conference Center in midtown Atlanta. Registrants will be given a promo code for a discount when booking your room at the hotel. The Reviews are limited to 84 participants. Each attendee will receive five scheduled reviews. After registration, later this summer, you’ll be able to declare your preferences for meeting with certain reviewers. Please Note: The slots are filled primarily on a first-come first-served basis, however, registrant’s work is lightly juried to ensure that only photographers who have strong portfolios and are ‘review-ready’ will be admitted (a full refund will be given to any photographer not accepted into the review). If you have been accepted and are unable to attend, ACP must be notified prior to September 26th in order to issue a refund. Registration closes Sept. 16th, 11:59PM EST or sooner, when open slots have been filled. We just need your contact info, a few select images and your registration fee. ACP Portfolio Review registration is now closed.